While not as cheap as Johannesburg for $685, the fares are still pretty good. 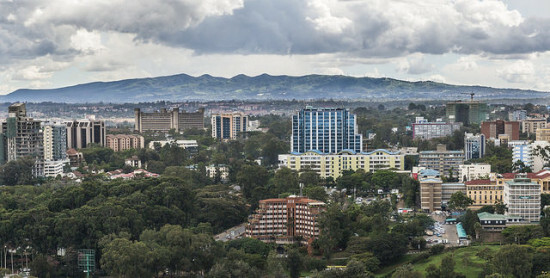 The next cheapest is Nairobi at $746 before discount or $696 after discount from New York and then increases from there for other destinations. 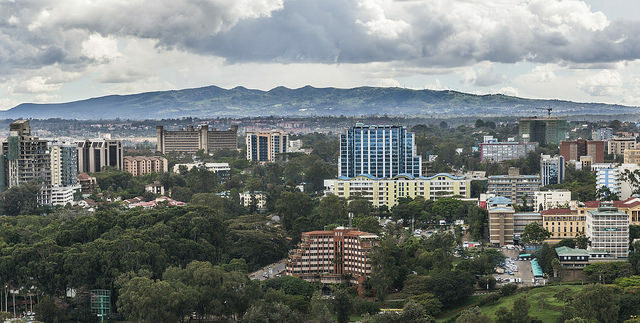 Expensive destinations like Lusaka and Harare are cheaper than normal. While Emirates only service those 10 cities above, through its partnership with jetBlue and Alaska airlines, it offers fares from jetBlue and Alaska cities for usually not much more. If you are using the USJET16 coupon: Valid for travel from January, 2016 – April, 2016 with 7 day minimum stay for Sunday through Thursday departures from the United States and Monday through Thursday departures to the United States. Must purchase at least 3 days in advance of departure. 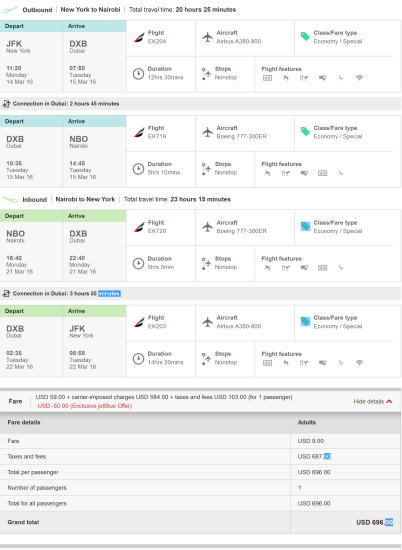 The best way is to plug your dates on Emirates and then select “My Dates is Flexible” to see pricing. Emirates does not let you enter the promo code USJET16 and have “My Dates is Flexible” at the same time. So find your dates first using “My Dates is Flexible” first, then go through the booking process without “My Dates is Flexible” with the USJET16 promo code to book on the “Book” tab, then select “Search for flights”. You should then see the “Promotional Offers” textbox to enter the USJET16 promo code. Support us by using our Emirates link to book. See the above “How to Search Availability” section for finding availability with the USJET16 promo code. Currency: Varies. Check XE.COM for rates.